Conor McGregor will be sticking with the UFC for the long run. UFC president Dana White confirmed Thursday that the Irish superstar has signed a six-fight deal with the promotion. “It’s not hard to do a deal with Conor McGregor because we know what he’s worth,” White told ESPN. The 30-year old McGregor, who was in Las Vegas to do a press conference for his upcoming fight for the Lightweight title against Khabib Nurmagomedov at UFC 229 early next month, has not fought in the UFC since his knockout win over Eddie Alvarez in November 2016. His most recent fight was his boxing debut against Floyd Mayweather in August 2017. 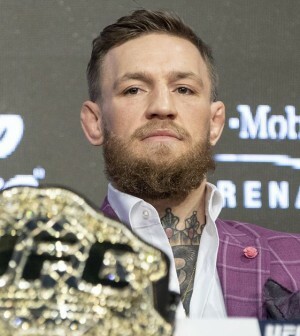 McGregor (21–3) was also the first ever fighter in UFC history to simultaneously hold belts in two weight classes when he had the featherweight and lightweight title after defeating Alvarez. Due to his long lay off, he was eventually forced to surrender both belts.